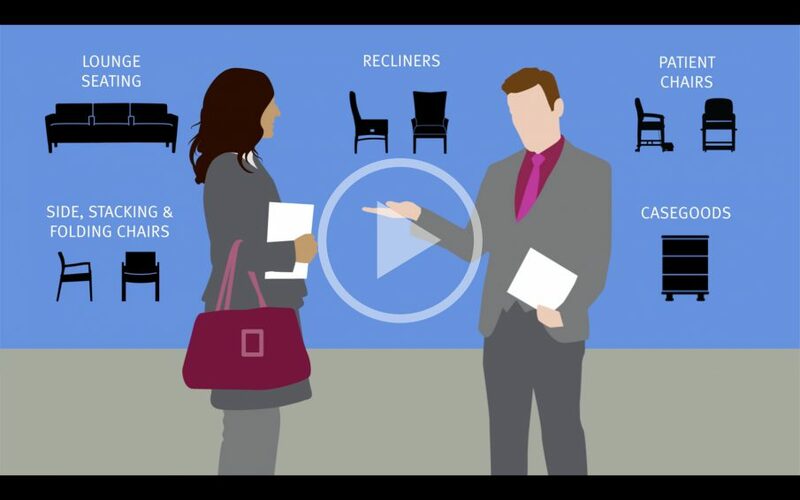 Nemschoff has been making high-quality furniture for healthcare and other high-use environments since 1950. In recognition of its consistent best-in-class quality, the company was acquired by contract furniture leader Herman Miller in 2009. Today, Nemschoff offers a comprehensive portfolio of products supporting the entire care continuum, and continues to be a frequent recipient of design awards for its innovative products. 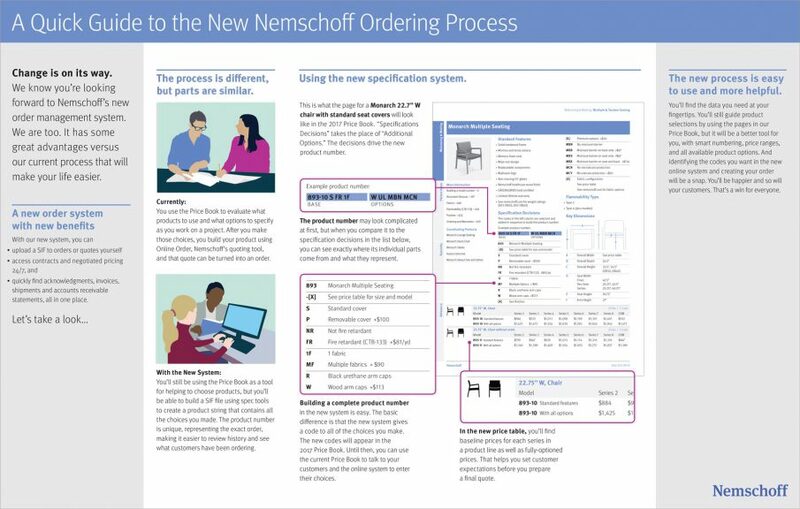 Nemschoff publishes a comprehensive annual catalog that serves as the source of truth for pricing information and specification decisions that dealers and customers must make. But, producing the catalog was a daunting, highly manual task, which often resulted in many inaccuracies. Long term, these inaccuracies led to incorrect orders and increased cost to Nemschoff. ThoughtForm analyzed the catalog, pinpointing users’ communication needs and where the catalog fell short. 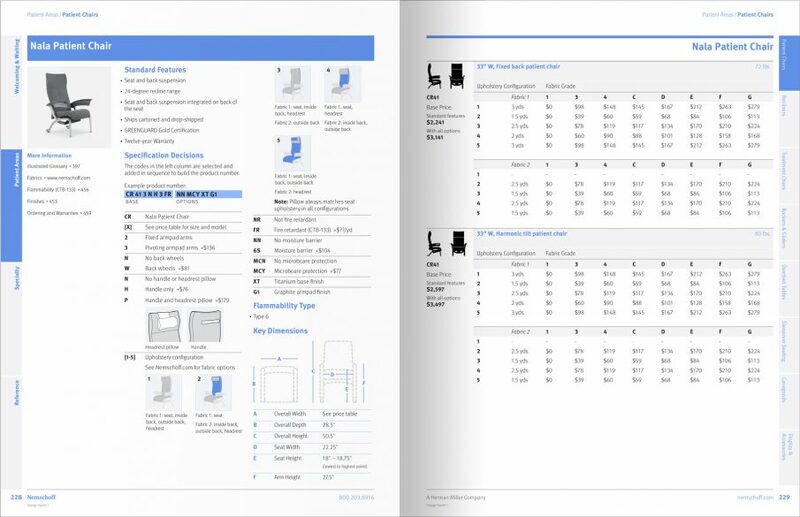 ThoughtForm redesigned the catalog to help users find desired products more easily and to better recognize each product’s value. 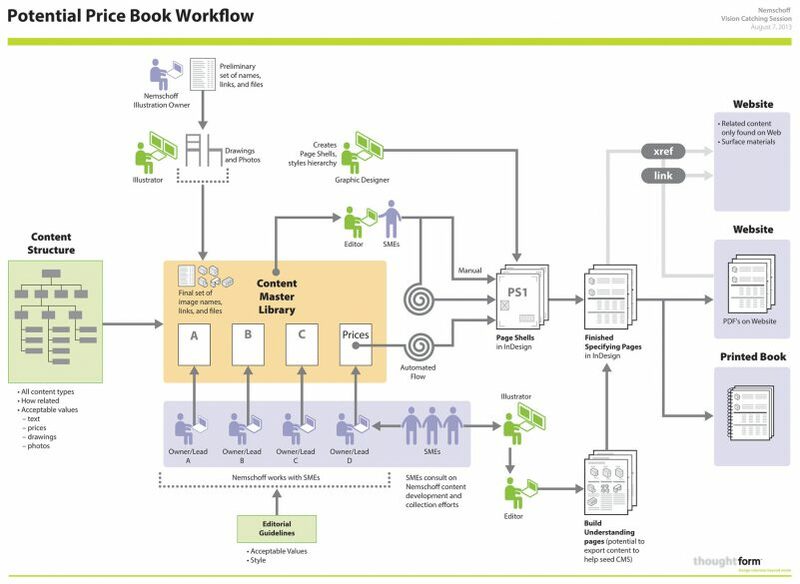 We also developed a production system that automates the flow of Nemschoff’s price data directly into publishing files, increasing speed to market and improving the accuracy of information. Created a new catalog design that supports users, while highlighting brand value. Implemented a new, streamlined production system. Successfully introduced the new changes to the organization.